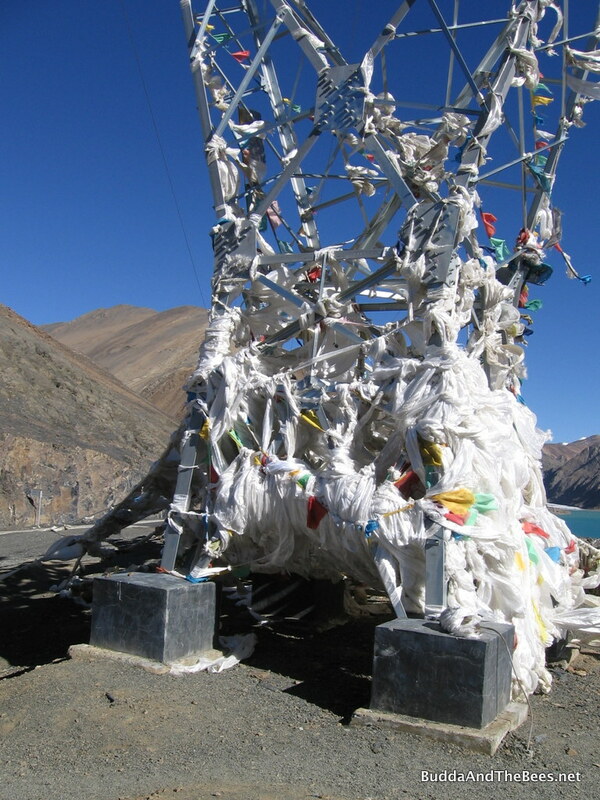 When I was lucky enough to go to Tibet in 2008, I saw some of the most devout people I’ve ever seen. Some will walk across the country doing sun salutations on their hands and knees as they travel along, with blocks on their shins and hands for protection. All this in the face of oppression by the Chinese. While the people circle clockwise around the temples, the Chinese soldiers go counter-clockwise. 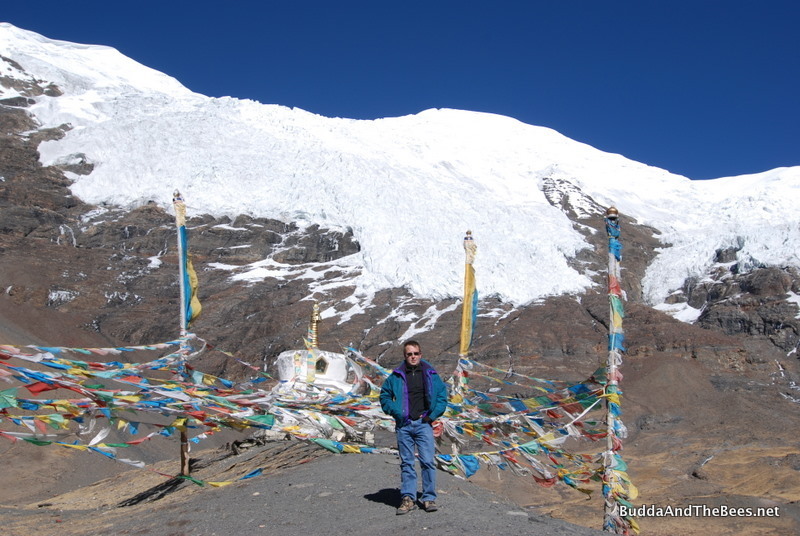 I enjoyed seeing all the prayer flags fluttering in the breezes while I was there. 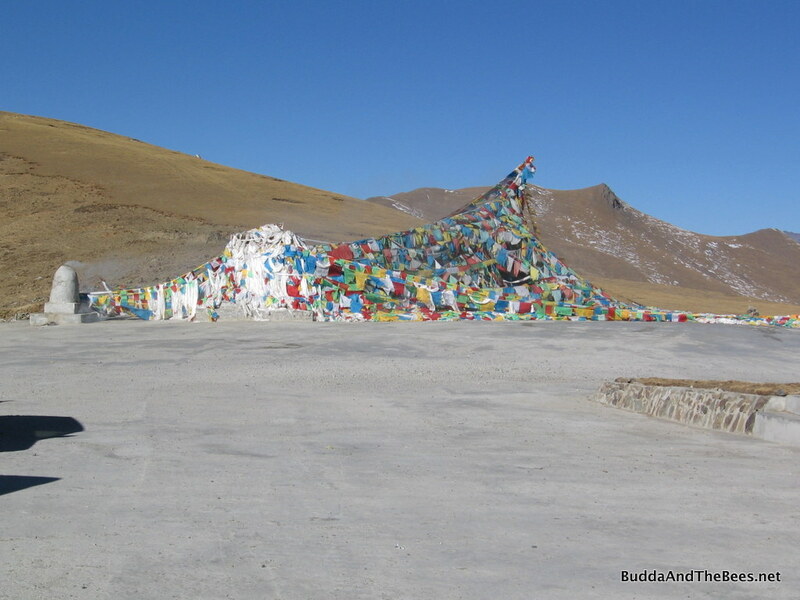 At every turn, these colorful flags were strung from houses, electric transmission towers, shrines, you name it. All part of the show of devotion. I brought back a set for Diana which now hangs in her yoga room. Last year I found some flag sets that had bees on them. 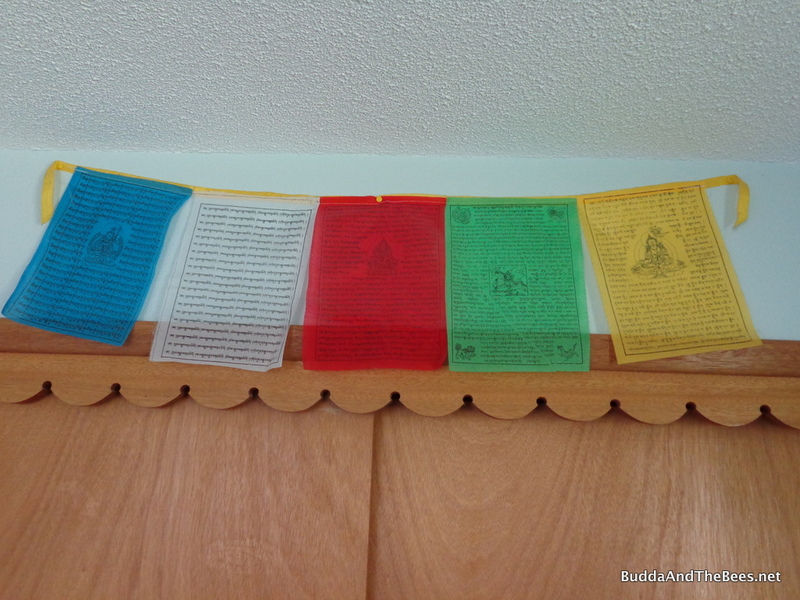 While they are not technically prayer flags, I bought a set of small flags to hang in our meditation room. 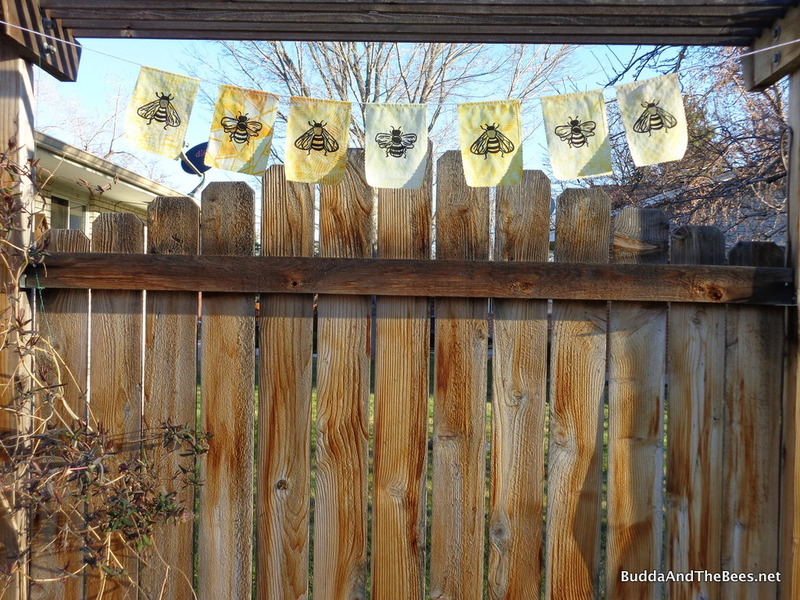 This week, I bought some of the larger flags at Harlequin Gardens and put them in the bee yard. 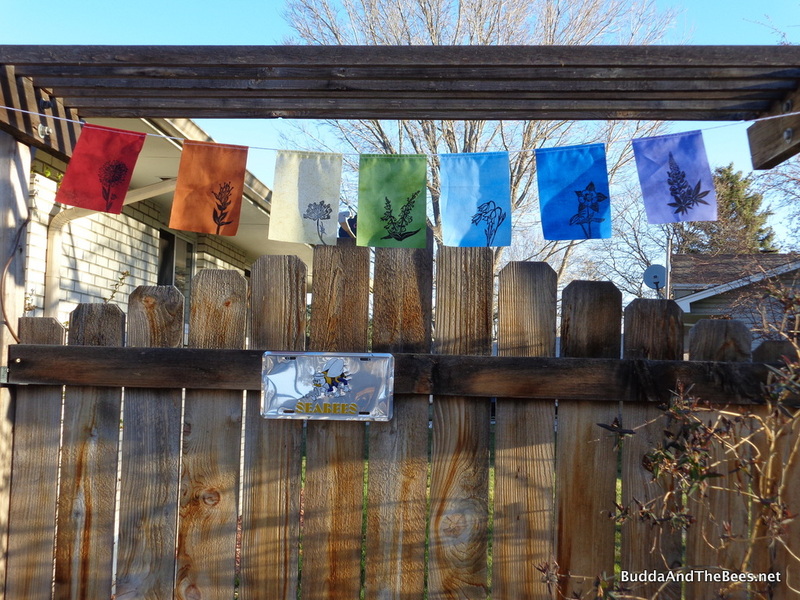 They are made locally by ARubyMoon, and it turns out that they have not only bee flags, but all kinds of other flags. I picked up one with bees and another with wildflowers. You can order some through their website. I think they are very cool and I like to support local artists. As I watch them flutter above the hives, it reminds me of my trip to Tibet and I hope they bring good luck to Buddha and the Bees. You are so well-traveled! Tibet is one of those places on my bucket list. That must have been an amazing trip. Love your new flags in the bee yard. They positively sing “springtime!” How fun!